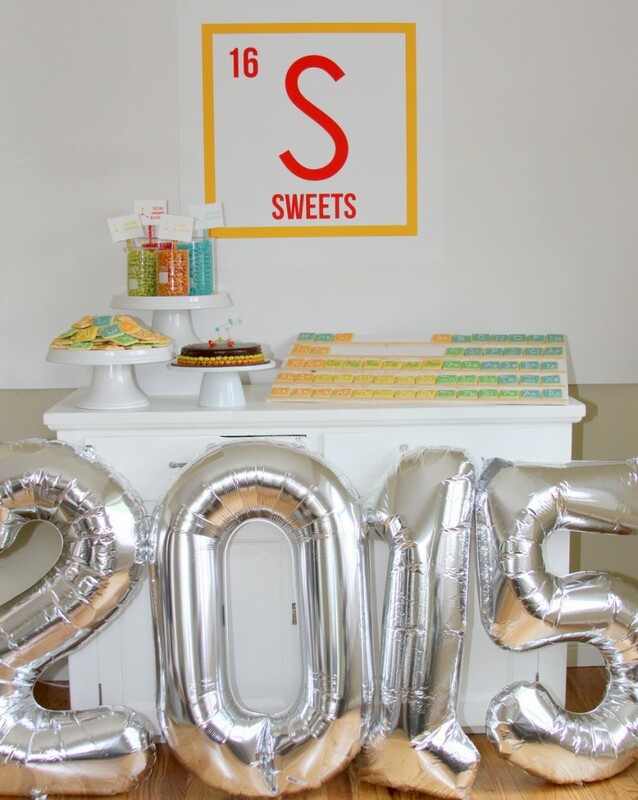 Need graduation party ideas before your big bash? This grad party post is full of them! It’s sponsored by Jelly Belly jelly bean but all opinions are my own. Thanks for supporting the fabulous brands that make this blog possible! Y’all, this graduation party for our little brother was one of my very favorite parties. Ever. Anytime a party represents the culmination of four years really hard work (eight years, actually, if you count Aj’s business degree that came before this chemical engineering degree), the party at the end represents such a celebration. And this little fete was no exception. 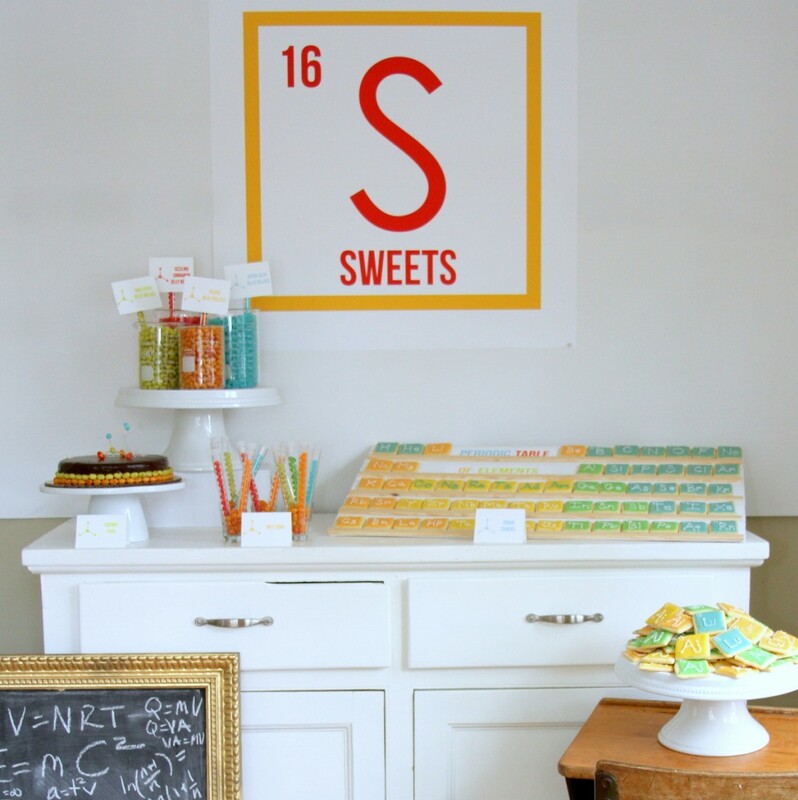 There was a periodic table of cookies made by Jordan The Sugar Cookie Master (world’s best sugar cookie recipe and her tips are here). 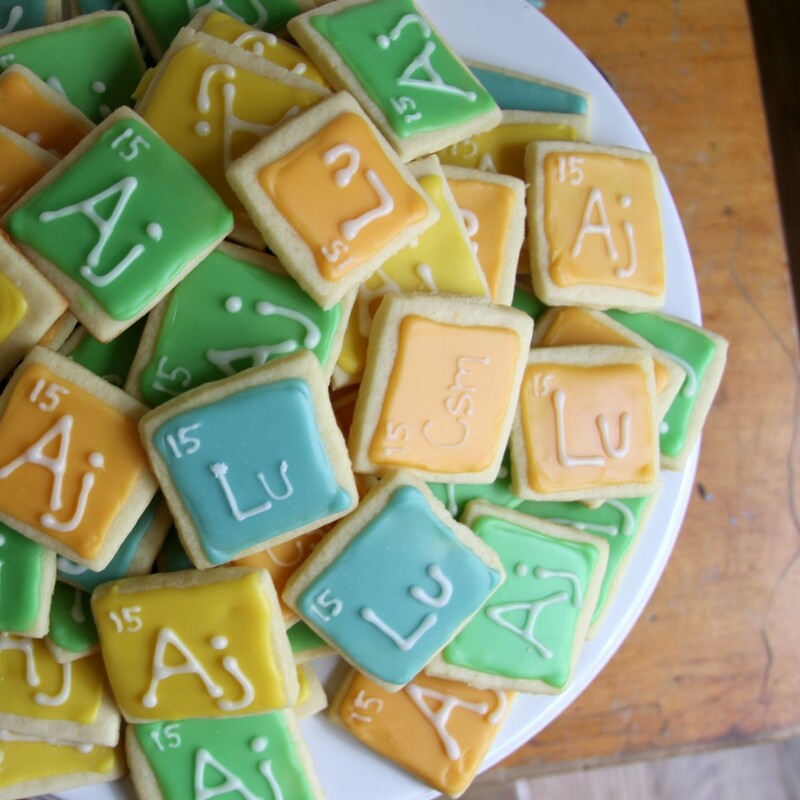 Not only were these so yummy, cookies in periodic table form was just such a fun addition to the treat table! 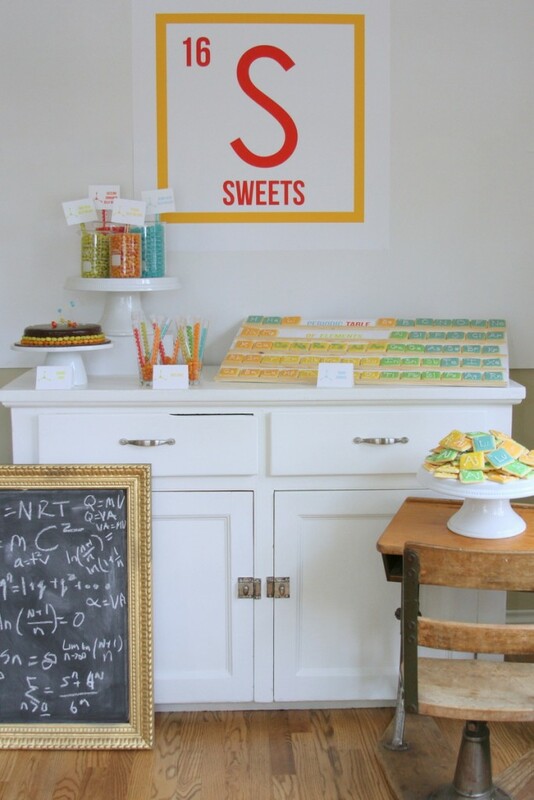 Would you believe that out of the entire periodic table and the cake stand piled with sugar cookies, we only had six cookies left at the end of the party? Maybe because people like me ate nine cookies. That might be an underestimate, actually. 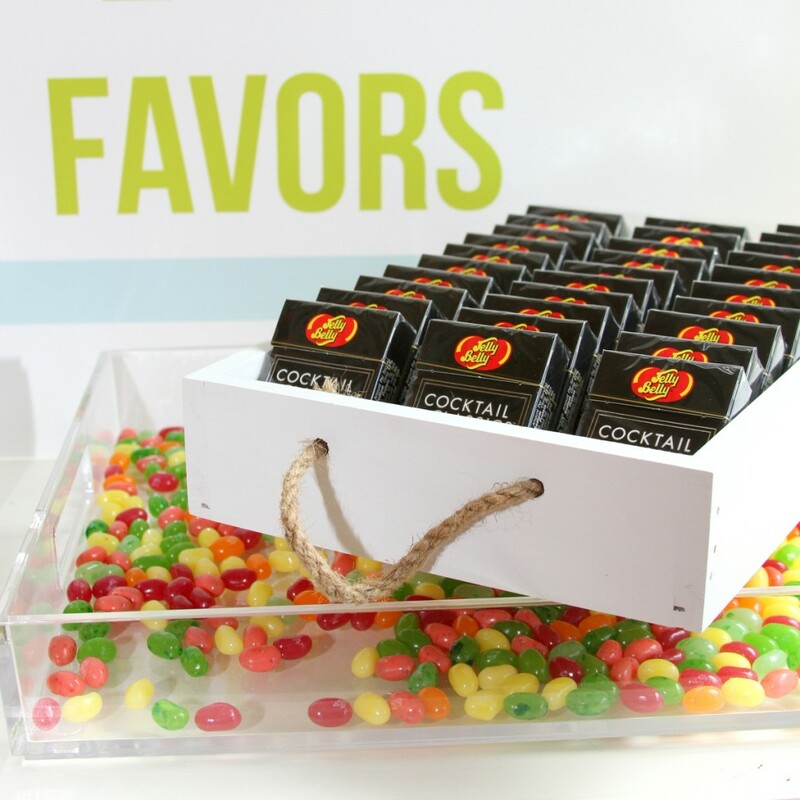 And there were Jelly Belly jelly beans everywhere! 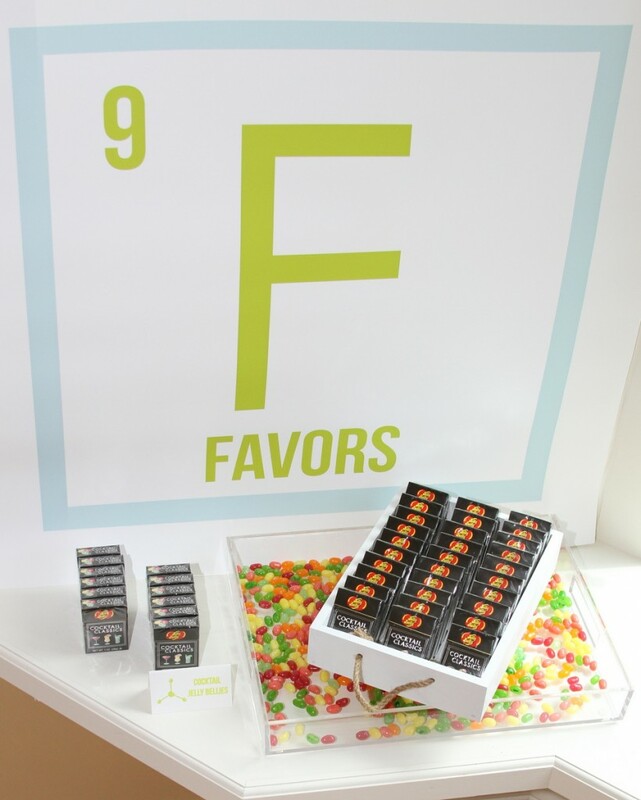 Since these were my siblings’ favorite treats as kids (we used to make Jelly Belly bean ‘recipes’ on road trips and now are passing this awesome tradition onto our kids), these were the perfect addition to my brother’s graduation party! 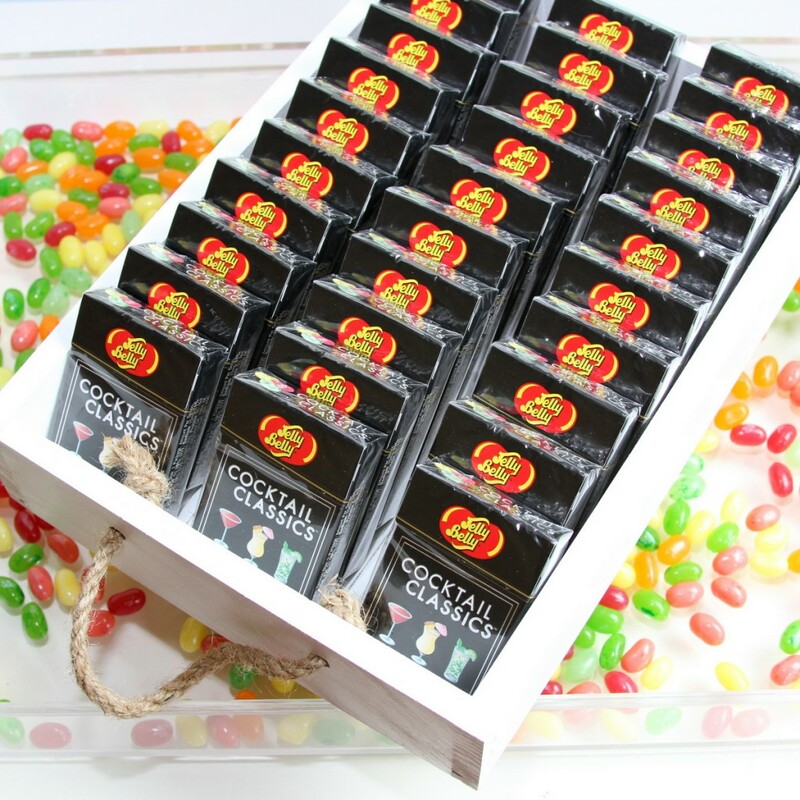 As favors, we ‘served’ flip top boxes of Cocktail Classics Jelly Belly jelly beans. I will be honest, most of these didn’t even make it home with people (as evidenced by the empty favor boxes we found all over the place). Huge hit. 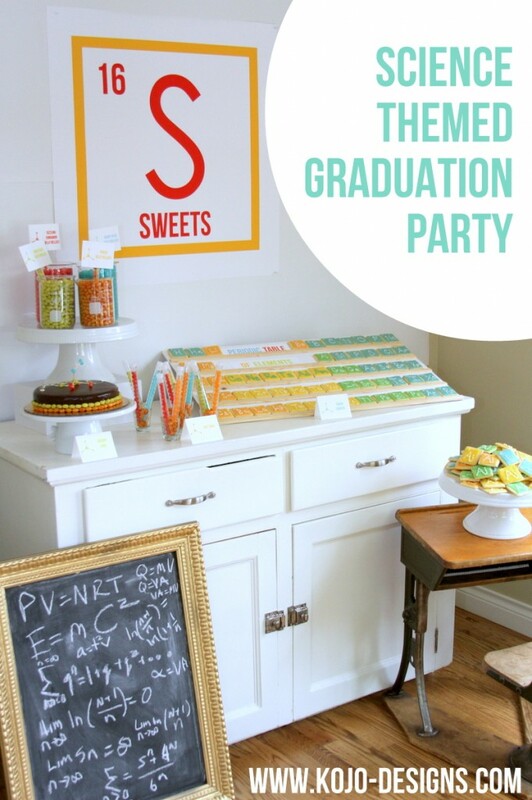 Our brother and his fellow School of Mines graduates noted several times that the beakers and test tubes dotting the tables took the dessert table up a notch (I found all of the containers on amazon and eBay). And my mom’s antique school desk (and the chalkboard filled with formulas) added to the ‘school’ vibe. 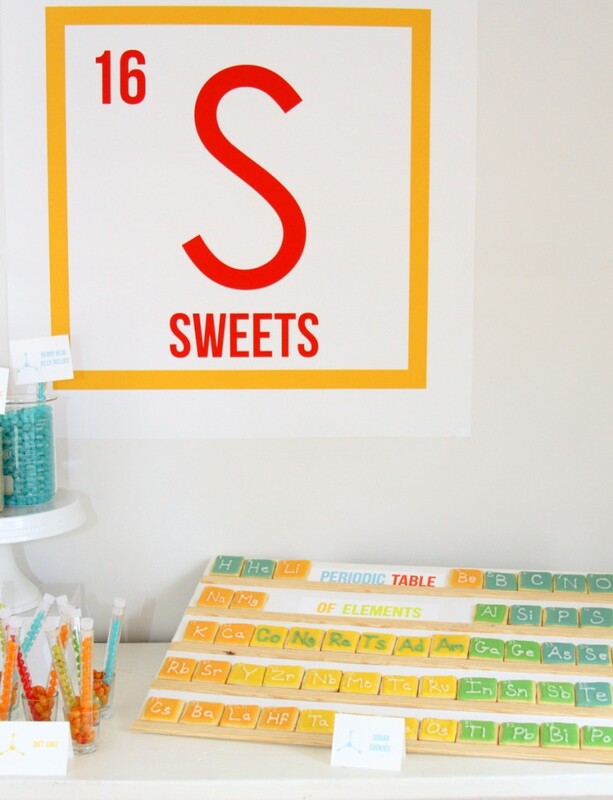 Also, periodic table elements make for the best signs. I know I already said this, but, seriously, what a fun party! 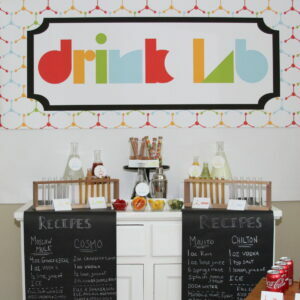 What a great idea for a graduation party! I LOVE those cookies! Thanks friend! Did I mention in the post that the cookies were Jord’s idea? Stroke of genius right? Super cute! This is a great idea! Love the favors and the cookies! This turned out SO cute. 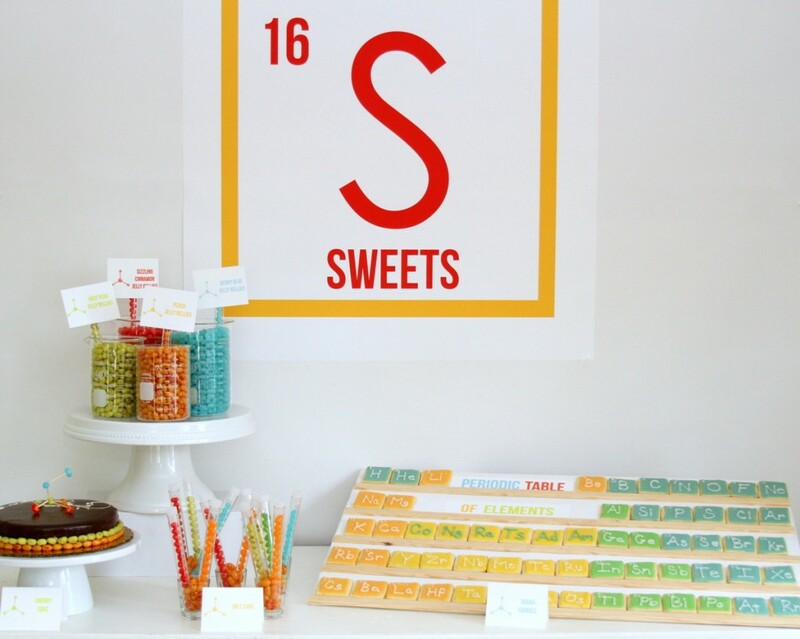 we might have to borrow the idea for my science loving niece’s birthday! This is SO cute and unique. Love it!